Although paper business cards are great and have without question withstood the test of time, in this digital age they don’t enhance peer to peer interactions. Besides them being a convenient way to share your contact information, what else do paper business cards do? Do they save a person’s contact information? Can you embed a video? Do they integrate with calendar applications, providing you with a seamless way to follow up with people? Unfortunately, the answer is no. In this digital age, you want a business card that enhances your interactions and easily integrates with the systems you love. If you agree, we have a digital business card solution that is perfect for you. So What’s the Advantage of Using a Digital Business Card? What if you could visually show people the story behind your brand when meeting them for the first time? What if a business card was more than a piece of cardstock used to exchange contextual scribble scrabble? Switchit’s digital business cards offer a more modern approach to networking and are an excellent alternative to paper business cards. Conveniently store all your contact information and social media accounts inside the app. Share your digital business card with people through Text (SMS), Email, QR Code, Twitter, Facebook Messenger, WhatsApp, Facebook, and LinkedIn. When you share your card, Switchit automatically saves the recipient’s contact information such as their name, phone number, email address, and photo. Plus, people don’t need the app to view your digital cards. Do you want to grab people’s attention? We got you covered. Upload or record engaging video content such as demo videos, explainer videos, real estate videos, or promo videos to your card. Do you need to follow up with people post-event or meeting? Cool. Simply, sync your Microsoft Outlook, Google Calendar or iCloud Calendar accounts and conveniently schedule reminder alerts from the app. We have over 18 social media platforms you can choose from to link to your card such as Facebook, Twitter, LinkedIn, YouTube, Instagram, Snapchat and more. Use our Notes Manager tool to add personalized notes to help you remember every little detail about people. And finally, our sophisticated system has built-in localization, making sharing your digital card with international phone numbers quick and easy. Plus, people don’t need the app to view your digital cards. Do you want to grab people’s attention? We got you covered. Upload or record engaging video content such as demo videos, explainer videos, real estate videos, or promo videos to your card. Do you need to follow up with people post-event or meeting? Cool. Simply, sync your Microsoft Outlook, Google Calendar or iCloud Calendar accounts and conveniently schedule reminder alerts from the app. We have over 18 social media platforms you can choose from to link to your card such as Facebook, Twitter, LinkedIn, YouTube, Instagram, Snapchat and more. Use our Notes Manager tool to add personalized notes to help you remember every little detail about people. And finally, our sophisticated system has built-in localization, making sharing your digital card with international phone numbers quick and easy. 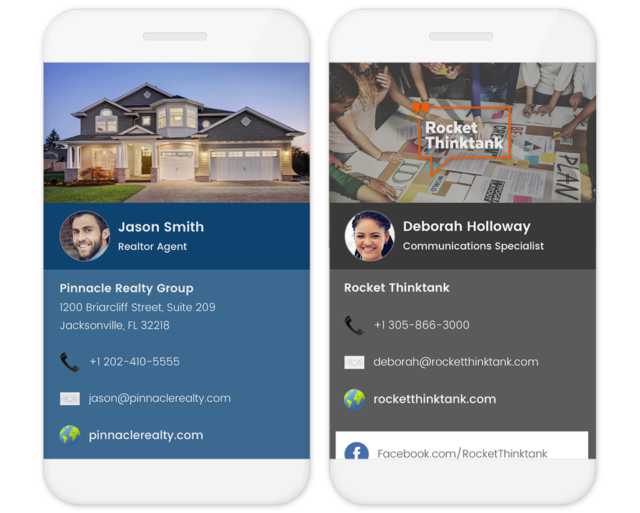 Switchit provides professionals and teams with an easy way to share their contact details using beautiful digital business cards that support engaging video content in the actual card, helping you to market your brand, product or service when connecting with people. Curious and want to learn more? Research has shown that 88% of business cards handed out will be thrown out in less than a week. And 63% of people throw them away because they don’t need your service now, not to mention all the trees that are destroyed in the process. That’s a lot of money sitting at the bottom of a trash can. Paper business cards are stealthy little ninja critters that have managed to survive since the 17th century. Don’t be the old ninja… Be a pop-locking, showstopping, modern business conquering, it’s nice to meet you person of a person. If you are looking for an innovative way to make lasting first impressions, market your brand, and follow up with people, then Switchit’s digital business cards are the perfect solution for you. To get started using Switchit today for Free, Click here.